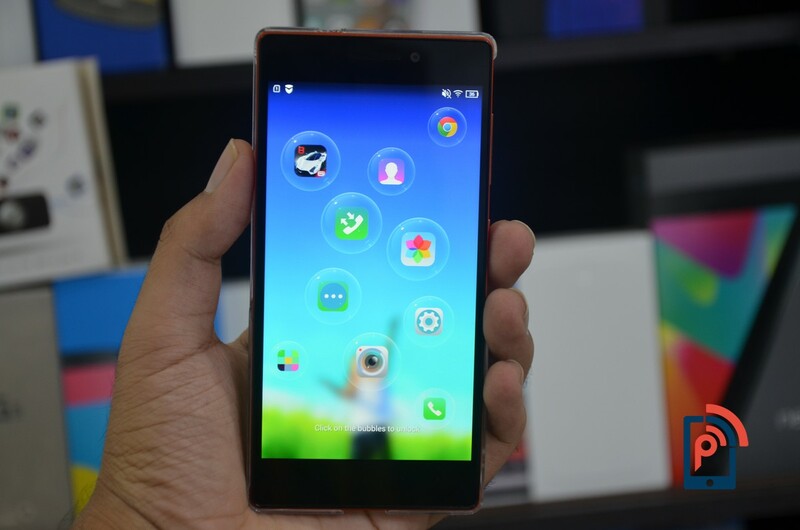 The multi-layered smartphone from Lenovo is getting a lot of praises. There are few reasons to thank for, like aggressive pricing, attractive design, and the great set of specs. The device comes with a 5.0-inch Full HD display and is powered by the latest True8core Mediatek MT6595m processor. It is complimented by 2GB of RAM and 32GB of internal storage. Other specs include Android 4.4.2 Kitkat OS, 13MP rear snapper with flash, 5MP front shooter for selfies, and a battery rating of 2300mAh. For the Lenovo Vibe X2 users, we wanted to share how you can improve your experience by using the tiniest of the tricks that your smartphone is capable of doing. Here are few FAQ, tips and tricks to get you started in improving the user experience on the device. What is the Knock to light feature? What is Smart Answer feature? 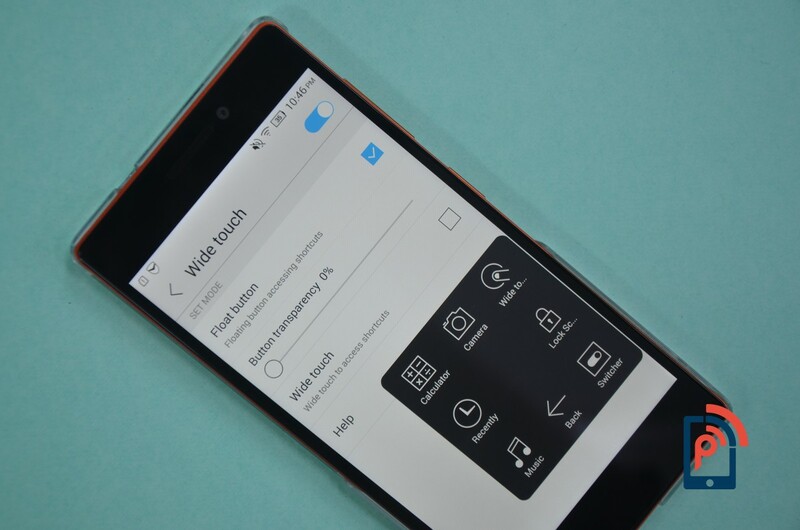 How to use the Lock Screen functions on the Lenovo Vibe X2? Many companies fancy tweaking the Android stock experience while replacing with their layered UI. And here Lenovo did the same. It seems like this new lock screen in the form of the bubbles is their experiment. Which I must say is quite intuitive and creative. When you hit the time bubble, instantly a cluster of bubbles is formed. With respective to the bubble’s size, you will understand which app you are using the most. You can also directly open that app from this lock screen by tapping on it. What is the Knock to light feature on the Lenovo Vibe X2? It is the same tap to wake up screen functionality that is found on the high-end devices. 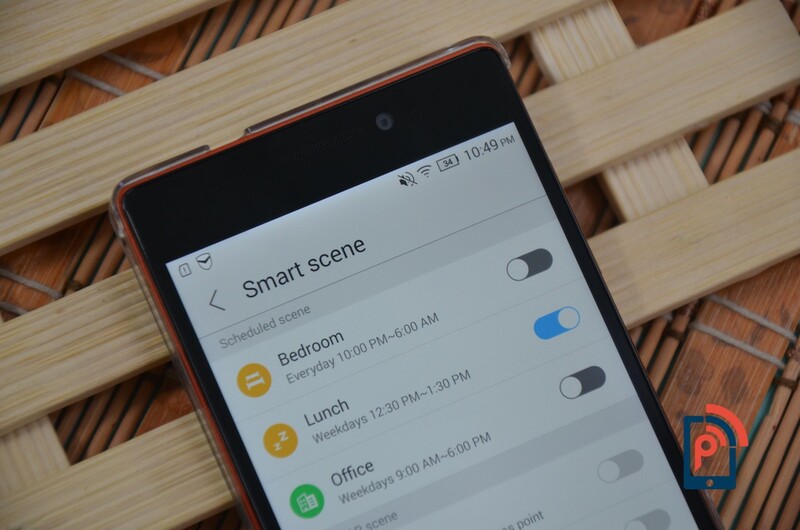 With this feature, you can easily wake up screen without using the power button every time. Though, you can only use this feature in the lock screen. Meaning you cannot double tap on the home screen and expect a phone to turn off the screen. What is Smart Answer feature on the Lenovo Vibe X2? With the help of accelerator and proximity sensors, it allows users to answer calls just bringing your device close to the ear. Note that if you try to bring your ear close to the phone lying on the desk, then this feature doesn’t work. It needs phone to accelerate as well as come close to the ear. It is a pretty handy feature as you don’t always have to answer calls from the screen. 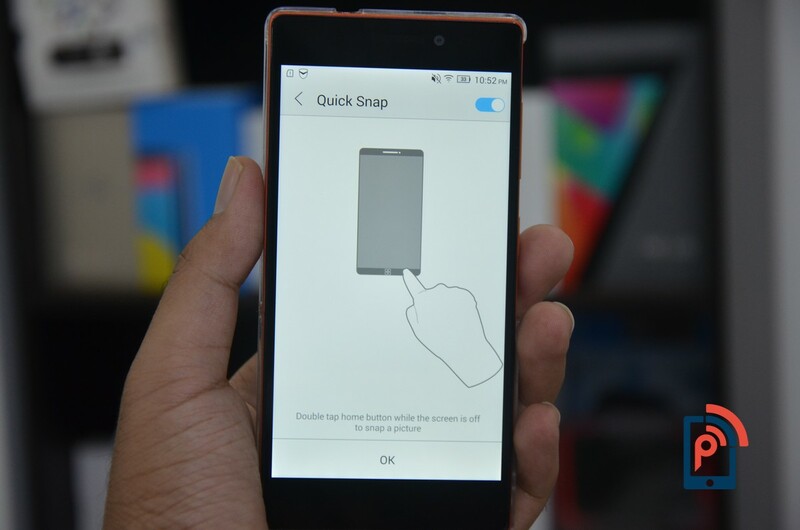 How to use the Quick Snap functionality on the Lenovo Vibe X2? Breathtaking scenery and emotional moments don’t wait; they just come and go. To capture those moments you have to be prepared. And if you have Vibe X2, then Lenovo has already prepared for you. As you have to enable a feature called Quick Snap. It will allow you to take photos, even when your display is turned off. Just double tap the home button while screen is off, then, it will automatically take a photo. Note that you can only take photos with this feature, as it doesn’t allow you to record videos. How to use the Smart Standby feature on the Lenovo Vibe X2? As far as the convenience goes, the Vibe X2 adds another handy feature. This feature is known as Smart Standby; it will know when you are looking at the device. Enabling it will allow the device to track the movements in front of the screen. And whenever it detects the movement, the display will be turned on. Though, I was not able to test this feature. Don’t know if it’s all the same with most of the X2 handsets. How to use the Smart Scene function on the Vibe X2? There are probably plenty of smart features Lenovo might have added on Vibe X2. But we are concerned with only few interesting ones and Smart Scene is one of them. This feature allows you to set different profiles, modes, brightness, as well as turn on Wi-Fi and Bluetooth, all included in the scene. Meaning you can create a scene named Office, and then set profiles, modes, brightness and various other things. After that, you have to schedule that scene and set a timer for it. Then, the scenes will be switched on/off according to the set timer. Trust me, it is pretty useful. How to enable High sensitivity touch feature on my Vibe X2? This is something that is required by users wearing gloves. Most often used by the smartphone consumers living in the cold places. To increase the touch sensitivity, you need to go to the Display section in the settings. Now scroll down to the bottom, there you will find the “High-Sensitivity Touch” option. Enabling it would allow you to use your smartphone, while wearing the gloves. What is the Wireless Display feature on my Vibe X2? There are times when you have to show presentations and don’t have your laptop with you. Well, with Vibe X2, you may not need one. As it allows connectivity with Wireless displays, showing the same content running on a smartphone to the device. Pretty incredible, right! How to use the Power Manager on the Vibe X2? Most of the Power Managers in other Chinese Smartphones are quite confusing, while it is not the case with Lenovo Vibe X2. It has added quite an intuitive power manager in the settings. The option allows you to switch to ultimate power saver mode, which will disable all features except the calling and messaging functions. On this mode, the device can last for several days. You can disable the certain unnecessary apps when the screen is switched off. It also shows you the detailed power consumption data metrics divided under software and hardware tabs. As well as you can set the timer to turn off the device. What is Wide Touch feature on the Lenovo Vibe X2? It is something of a floating toolbox that allows you to jump to apps. It performs various functions including locking your screen, accessing recent apps, as well as switcher tasks. You can enable this function from the feature tab in the settings. You have the option to choose from two modes, float button and wide touch. With float button activated, you will see a transparent button floating around the corners of the screen. While wide touch button need your thumb mark to access the toolbox, which will not be visible when using this mode. How to insert the SIM card on the Lenovo Vibe X2? Lenovo Vibe X2 provides SIM card slot on the left edge, and since it is not a flap, you have to use the SIM ejector pin. Carefully slide out the SIM tray, which can hold two SIM cards, where one would be Micro and other would be a Nano SIM. Put your SIM cards on a tray and slide into the same slot. There you go, you have successfully inserted SIM card. Note that, you need to switch off the device first and turn on after inserting SIM inside. How to customize the Notification Bar on the Lenovo Vibe X2? Since, Lenovo has customized the interface; we also see a tweak for the notification panel. But here’s the thing, they have improved the stock experience in this part quite a lot. On Vibe X2, the notification bar can be easily customized, by tapping on more option. A menu will open, which will allow users to add or remove the quick setting functions from the bar. While you can also customize it further by accessing the notification center, just below the menu. How to Schedule Lenovo Vibe X2 to power on/off automatically? It is quite easy to use this feature; you just have to set the timers to turn off/on the device automatically. You can set the timer to be based on weekdays and weekends, or can also select everyday setting the same timer. It is quite handy feature, which will allow you to save battery juice as well as sleep well without getting disturbed in the middle of the night with notifications. Will the Lenovo Vibe X2 get the Android 5.0 Lollipop update? There was no announcement have been made by Lenovo regarding the Android Lollipop update for Vibe X2. As the flagship phones tend to receive the updates sooner or later. We hope that after acquiring the Motorola, Lenovo might be following the footsteps of the acquired company.